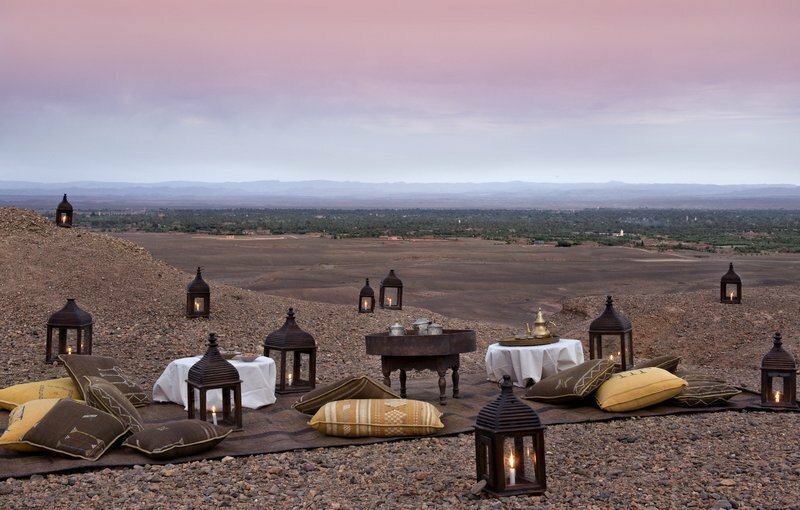 Get Whisked into the Endearing Arms of Morocco's Honeymoon Perfect Resorts! Honestly, what’s the next best thing after your wedding? Definitely the honeymoon! A newlywed friend shared that she had her entire honeymoon dream mapped out before she even started thinking about her wedding day – from waking up to breakfast in bed, watching the stars in the dead of the night on the beach, a romantic rooftop dinner with cuisine from a private chef then to be whisked away in the arms of her husband in a magnificent botanical garden. 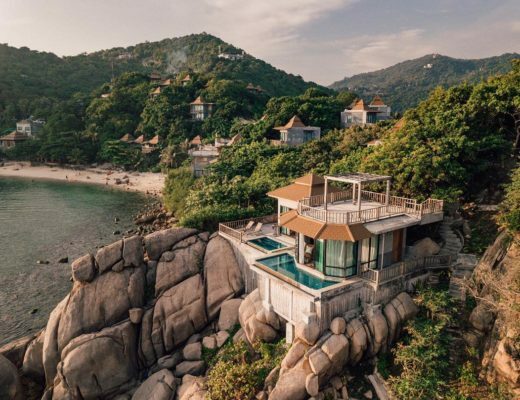 Ok come back from that honeymoon wonderland and let’s dive into this BN Honeymoon Spot you should totally bookmark in time for that special moment. While there are a million and one beautiful locations to visit all around the world, Morocco is on our radar. Yes! The gorgeous Morocco! 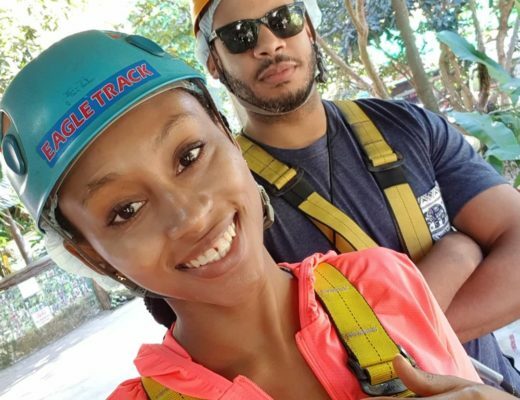 Lately, this tourist’s loving location in North Africa has been trending. The stunning scenery and landscape will leave you in awe. From beautifully designed resorts to camel rides and then the access to the Sahara Desert, Morocco will have you falling head over heels in love with her in no time. Here are five resorts in Morocco that are definitely BN Honeymoon Spot worthy. Oh, wait.. do not forget to send us your beautiful honeymoon photos. This white and dreamy resort is located in the imperial city of Marrakech. 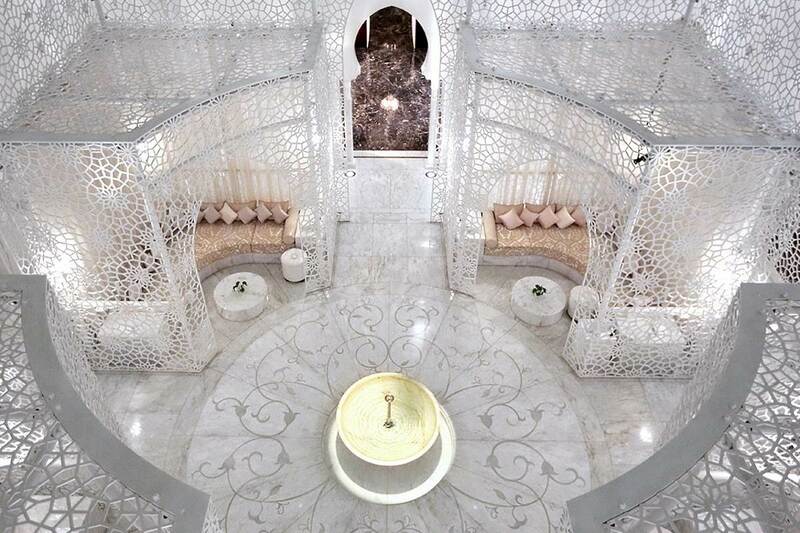 Hotel Royal Mansour reeks of opulence, and comfort for a remarkable stay. Think about luxury. Did we mention the large swimming pool and inviting lush gardens? Yes, so pack up your swimsuits and comfy shoes for a walk in the garden. If you are such a food lover, then you are in luck! Your taste buds will definitely thank you for treating them with delightful traditional Moroccan and French cuisines. When that this done, pamper yourself in the fantasy-spa and then make magical moments together! Double blessings! Really, you get to relax on the pristine beach and also play a game of golf all in one place (we can see the smile on your face, golf lovers). 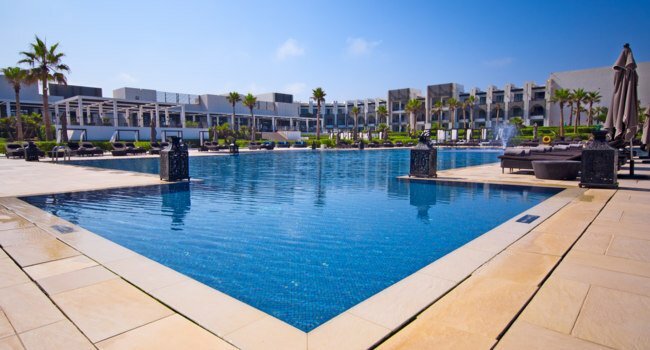 The five-star hotel is well known for its royal accommodation and high standards of comfort, with its Moroccan traditional features brightly woven into modern luxury treats, the hotel aims to serve you all the honeymoon adventures you will desire. Horse riding, yoga, go-karting, ATV adventures, and special ranges of spa treatments. Then round off the day with a romantic evening with your sweetheart in one of the many on-site restaurants, or a flutter in the casino or just maybe party hard all night in one of the nightclubs. 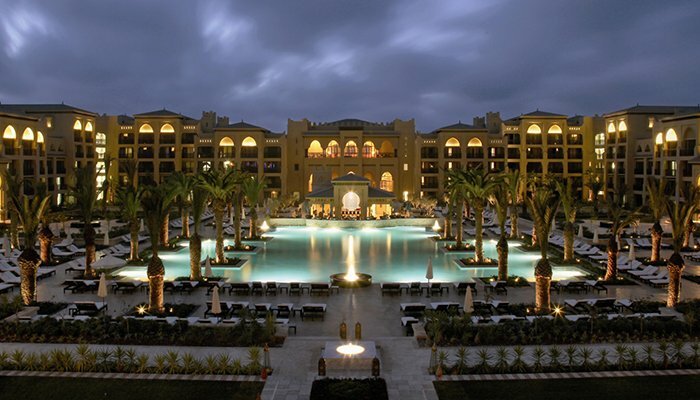 The hotel Sofitel Agadir Thalassa Sea and Spa offer a burst of exciting activities and honeymoon thrilling experiences. Sitting right next to the beach, there’s a easy access to the beach for a relaxing time. You get the best of everything from exquisite dining from a range of diverse cuisine to spa and massage session. The best part here is for the art lovers, feed your creative souls with timeless pieces from the art gallery and then enjoy the amazing rooftop terrace, so if you have always wanted to have a rooftop dinner, here’s the best time to channel your inner romantic self and have an unforgettable rooftop dining experience. Oh my goodness, the view! 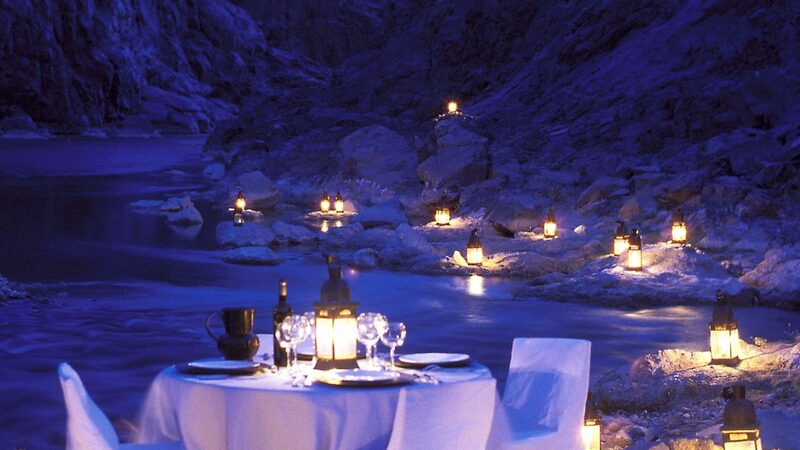 I can already imagine a couple having a romantic dinner here, raising their glasses and cheering to the future. You know, what’s so amazing about this place, its close proximity to the Sahara Desert. Just imagine waking up to the view of the Sahara desert, mind-blowing! Means it’s all about sand dunes, golden views and even more. It is surrounded by green gardens and shaded palm groves. The resort also provides a luxury with a desert camp where you can explore the towering tubes and bond with a wide of species of camels. You can end the day, laying down with the breeze blowing on you and your spouse while you both watch the stars. If you happen to be a lover of tradition, old accents, and history, then you are in for a ride. 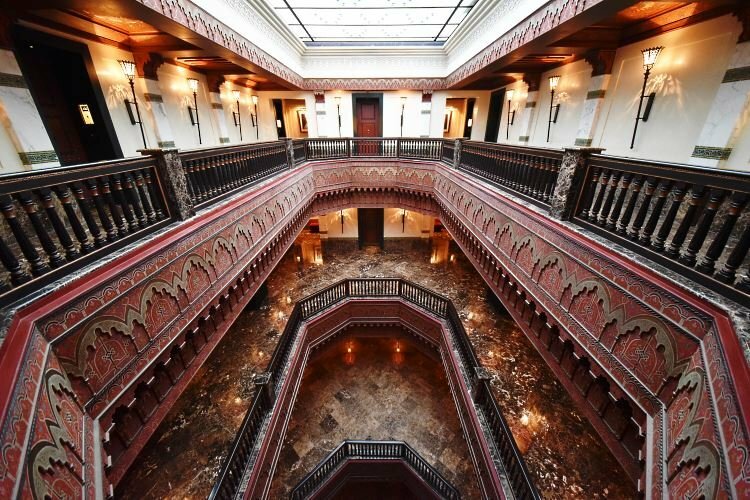 The La Mamounia is one of the intriguing locations in Marakkech yet also one of its exclusive accommodation. It is housed within a historic palace and decorated with a number of traditional Moroccan works and features. Even with its historic feel, it combines modern facilities to treat you and your spouse to the beauty of life. It has a spa which is often said to be one of the most Instagrammed spas in the country, so get ready to take countless selfies for the gram. Seal up your honeymoon experience, with a selfie with this view, grand right! So why not, get out your suitcase and pack up and explore the beautiful resort locations in the North African Country. You can thank us later, we will be waiting happily to hear all about your experience and don’t forget to send pictures of your honeymoon to [email protected] for a feature on our page.